Hi, Well this guide was mainly made for the guy who's buying my SOCOM16 and I had a lot of trouble the first time I took it apart, seeing as there are no other takedown guides for the G&G m14 series, so I decided to make it open to the public, so people won't have to go through the same trouble I had to. There are a lot of rumors around that the G&G guns are not reliable and will crap out on you really fast, and etc. Well, there is some truth to these claims, but overall I've been relatively satisfied with my purchase. The only things really need replaced are the piston, and the bushings, (I have CA oiless bushings and a guarder piston). Heres a pic of the gun before takedown. 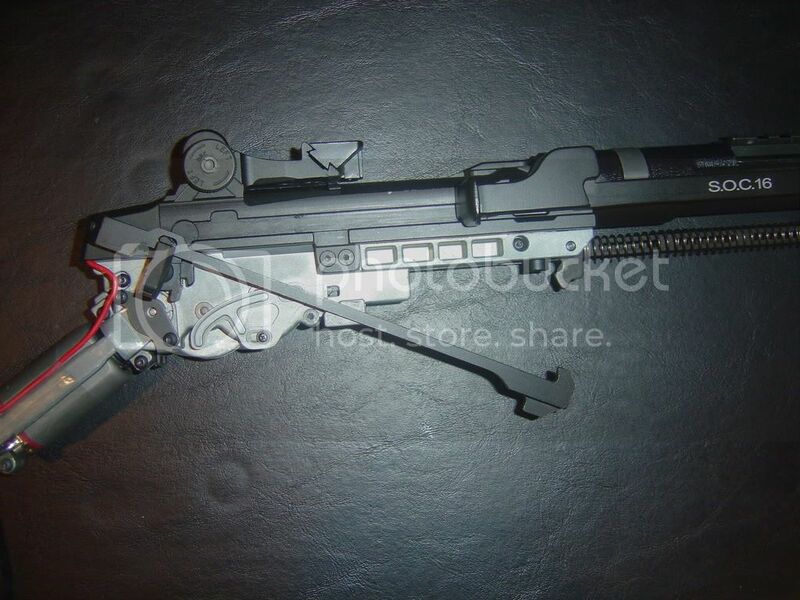 First, begin by removing the trigger unit from the gearbox/stock, pull the trigger guard out, and then lift the unit out. 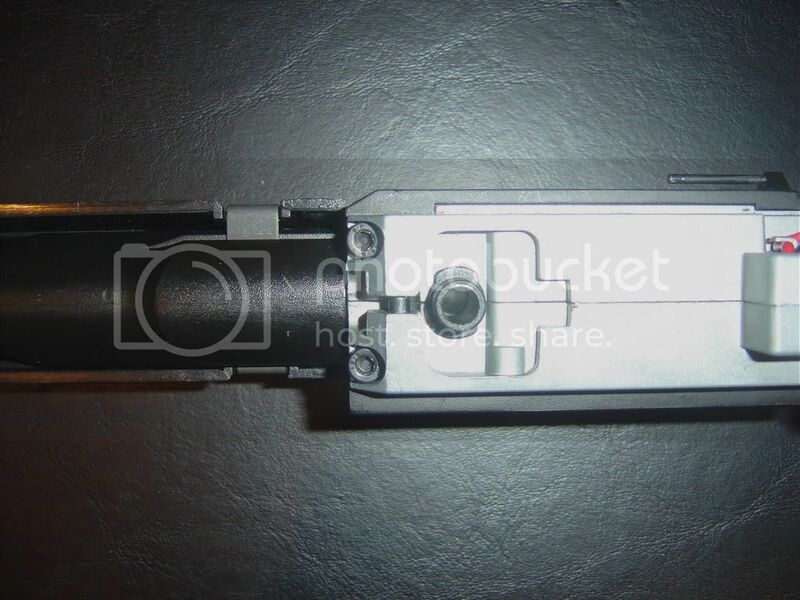 Now you can slide the receiver/gearbox out of the stock. Simply lift it out of the stock, paying careful attention to the motor and wires at the rear. 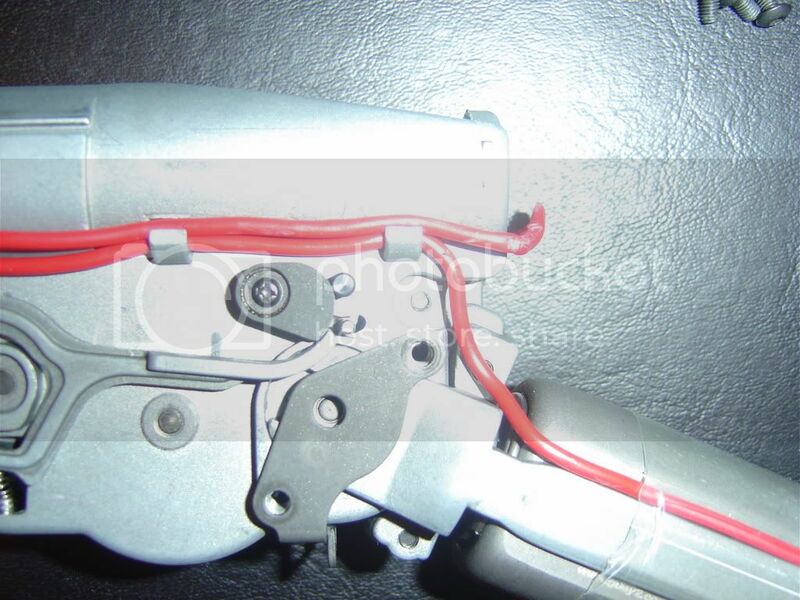 Next, unlatch the selector switch lever from the selector switch, and set aside. 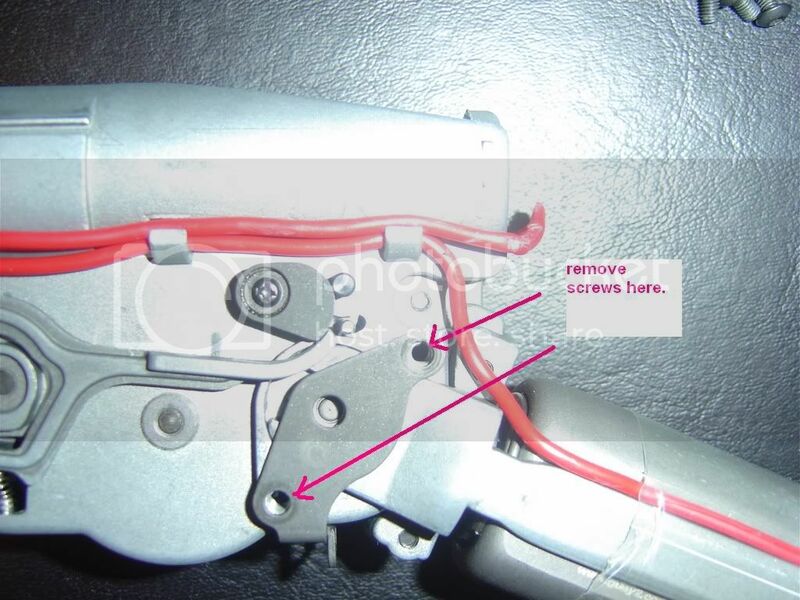 Now, carefully recoil the spring and rod back, remove and set aside. 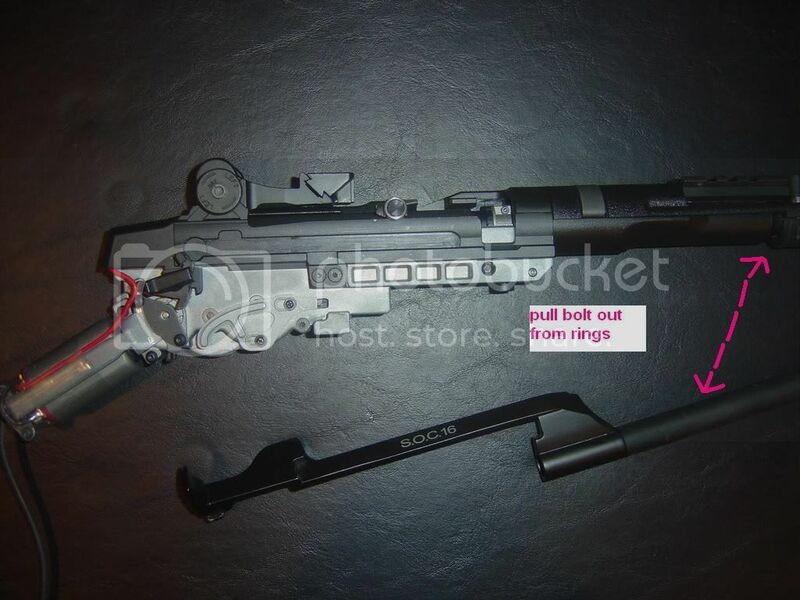 Next, remove the bolt, simply slide out from the rings attached to the barrel, and set aside. Almost to the gearbox! 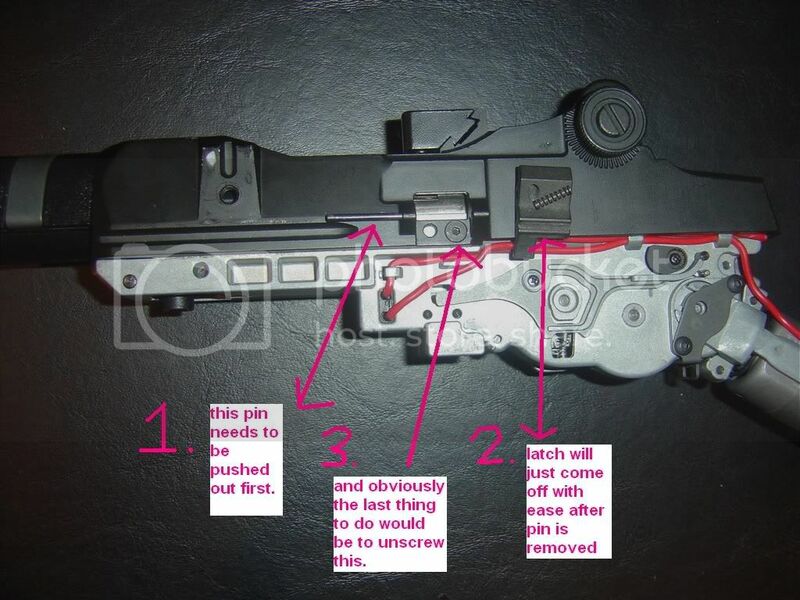 okay, remove the two small screws shown here that hold the receiver on the gearbox. 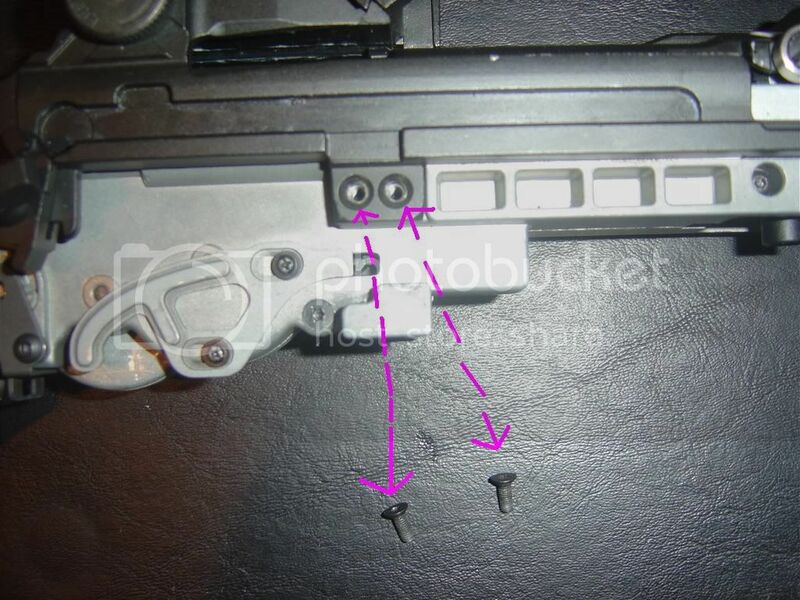 Now, turn the gun over, and push out the small pin shown in the pic out from this latch, set aside the spring, and unscrew the screw. (its that little latch laying on the reciever with the little spring sitting on top of it). 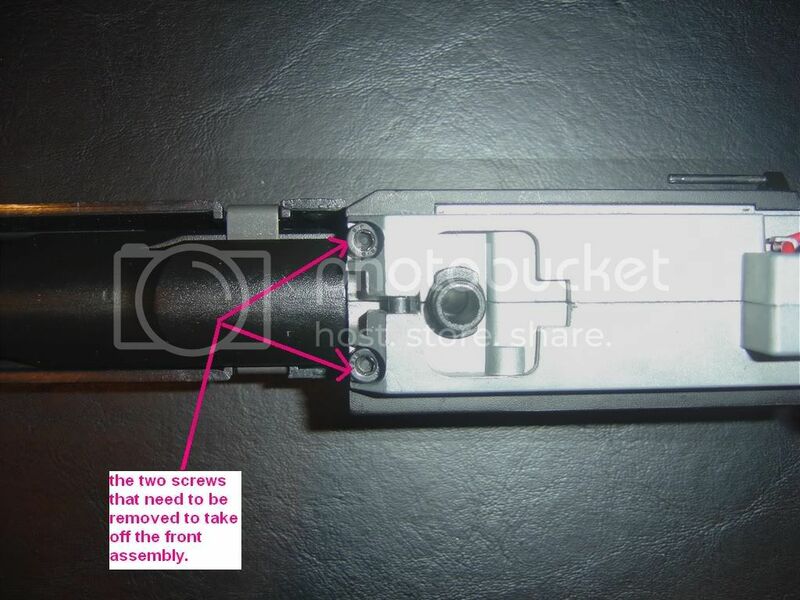 Remove these two screws that hold the barrel and hop up unit onto the receiver. Pull the barrel/front section out from the receiver very carefully. Now, with all the screws, and front section removed, you can slide off the receiver. Slide off the top receiver cover. 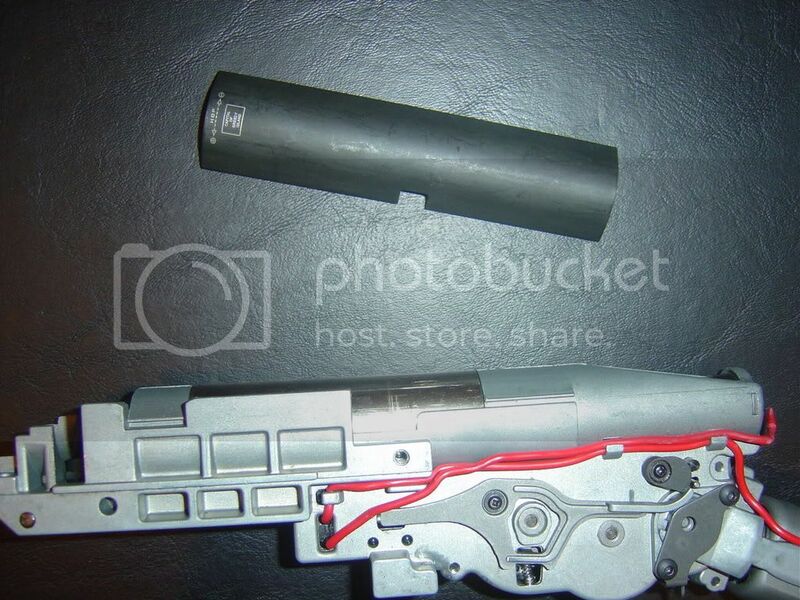 Remove the screws from the gray matte colored piece of metal that holds the motor on. 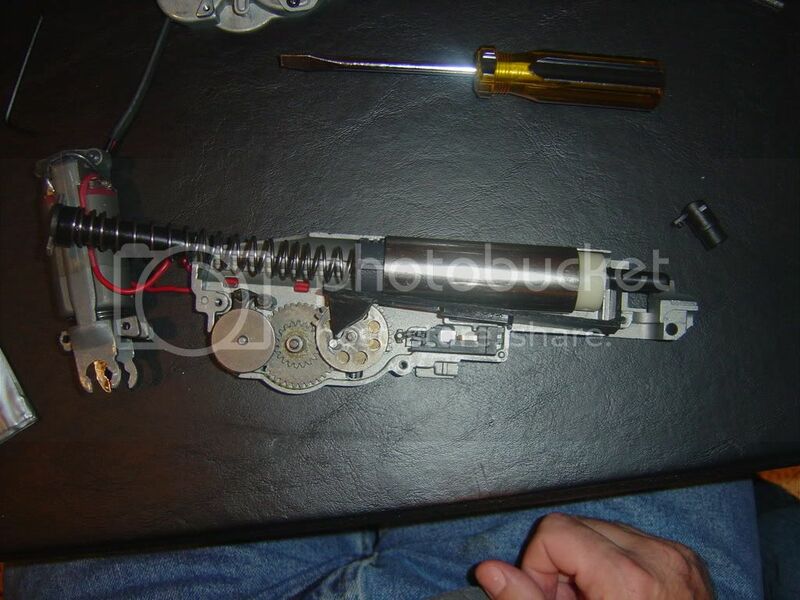 It should now look like this, this parts a little frustrating, you have to work the motor off carefully, (I usually put a flathead screwdriver in to carefully pry it off on each side of the gearbox. Here’s what it should look like when the motor is off. Okay, now take off the various Allen wrench screws on the gearbox. (Any other type of screws, just leave em alone). And now, I usually put a flathead screwdriver connected to the spring guide on the side of the gearbox to hold it in place, and then just slowly and carefully take off the gearbox cover, and voila there you are. 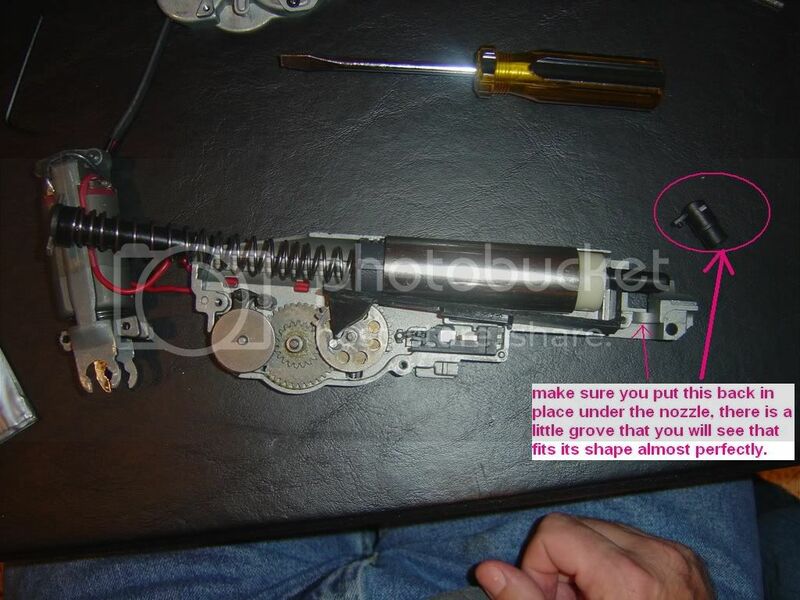 I would also like to add that when you are putting the gearbox back together, and wanting to test fire the gun before going through all the steps just to get the trigger back on, there’s a gray sliding thingamajigger (basically the trigger) and all you have to do is slide it forward to test fire. I hope this guide was helpful in someway, I realize I’m not the best at giving directions, but at least there are pictures guiding you through the process. And it still’s better than having no guides on taking it apart like there where prior to this one. 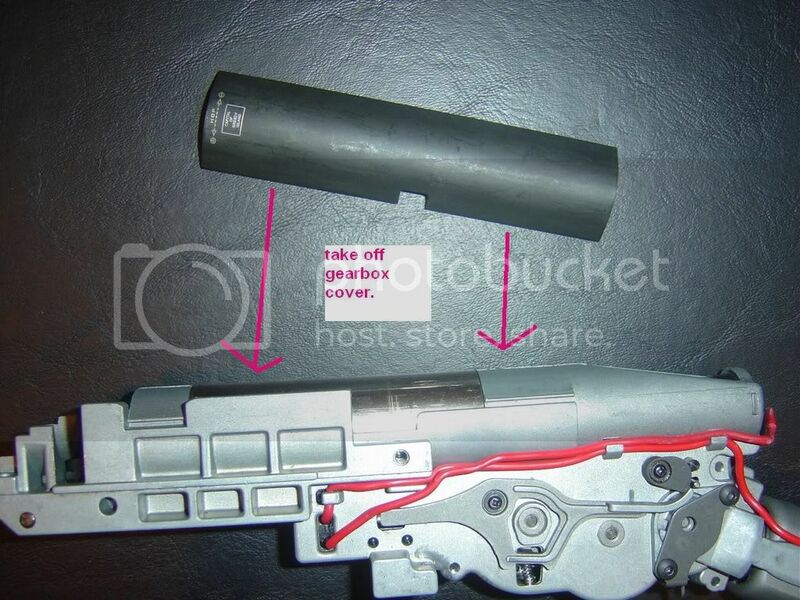 I like the inside-the-gearbox pics too-- alot of take-down guides don't have those. I vote for a sticky. Thanks, Much appreciated, I'm just here to help. That's a great attitude. ASF needs more helpful members like you. Nothing to worry about with this gun externally, its built very strong, very solid, so don't worry about it mang. Interests:Airsoft, Military, Airforce, Medical stuff, Girls, Guns, Girls + Guns. Some other less important stuff. 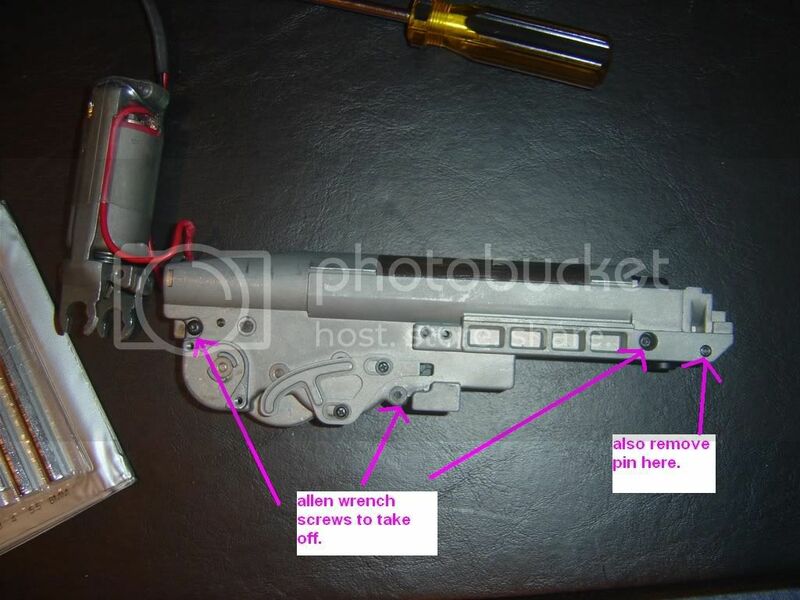 Aww the bad memories of the alien shaped gearbox. I remeber doing that a couple of times I hate putting that bolt cover thing back on was a pain. Thats a good guide and it has everything you need to know on taking apart the gearbox, Could you add the hopup chamber dissasembly? My appologies, but it has already been packed up and put in my truck to be shipped tomorrow to the person who bought it, I haven't touched the hopup, and this guide was really focousing on the main points of stripping it and getting to the gearbox. Becuase I know its not as easy as some others, I have taken it apart before on mine and its was confusing at first but I think that if it needed to be done someone else could post it this topic should be pinned. 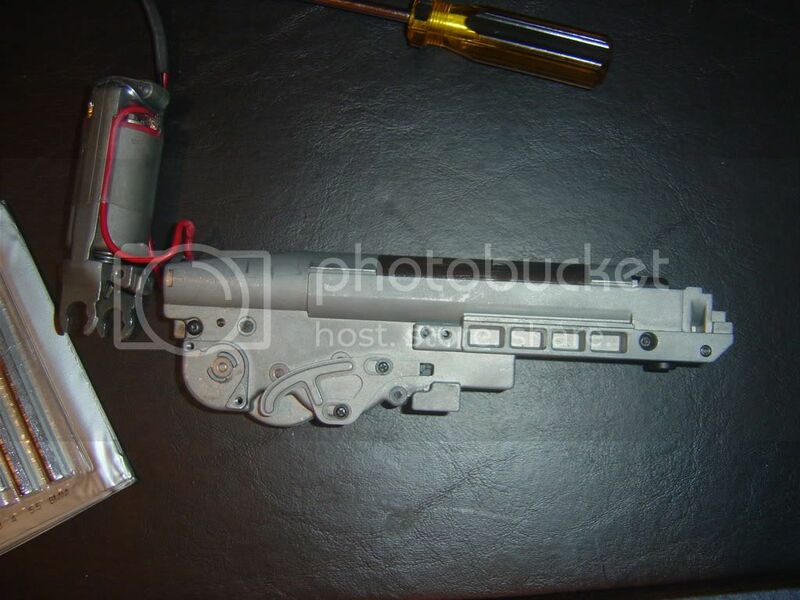 I would also like to add that if anyone has any questions concerining the dissasembly, or reasembly, or even the placement of the internals in the gearbox to just PM me, I will gladly help you. O My GAWD!!! thank you so much. this is exatcly wyhat I've been looking for. *edit* oops, didn't see the gearbox part. once again, thanks a whole heckuva ton. do you think this same method works with the AGM version? also, how did you get the trigger gaurd off? 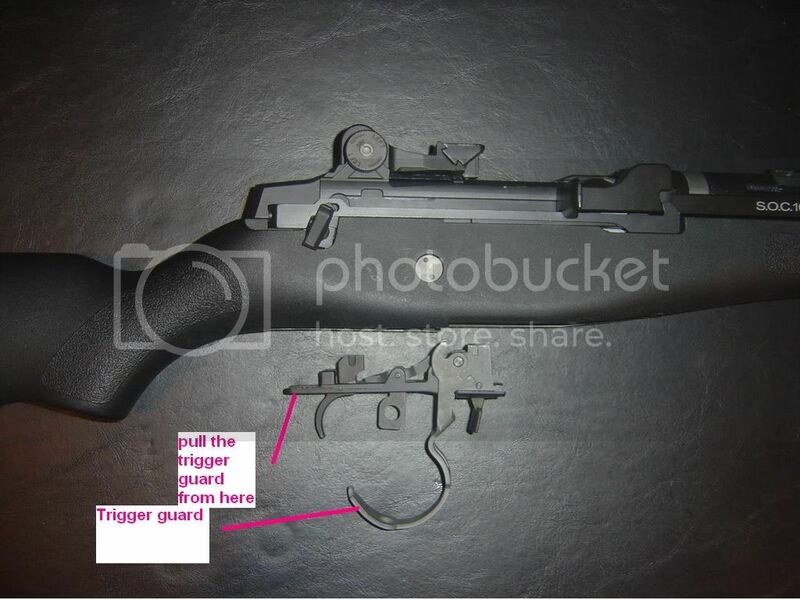 I'm not sure about the other brands sorry, But how you get the trigger unit off is by pulling the trigger guard out from the stock, out of its little notch and it should just come off altogether. Ok, thanks. woohoo, time to upgrade my M14 now that I know how! 450 FPS here I come! Hey, On picture 5 from the top going down. That piece of metal that connects to the charging handel ? 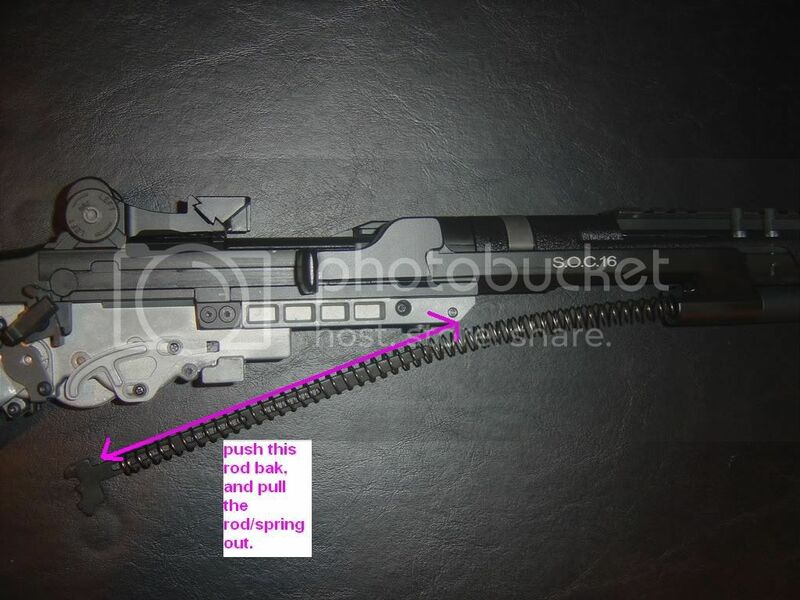 The rod that connects to the firing selector... Is there a spring behind that ? yes its hard to explain, but theres a tiny spring that is on this little thing stickin out on the otherside of that view of the rod. You can use AUG hop ups in the G&G M14 line. hehe no problem your welcome.. Sorry for doing this, but it won't let me edit it, I edited the pics so you can more easily see what I'm describing in the captions, I will redo my first post, with the new pics, if this is wrong, you can make it so this post doesn't count, Idc I'm just tryin to make this easier for people to understand. I have a UTG M14 and plan on doing a few upgrades of my own-- but there really aren't that many guides for it. Would this guide be similar at all, or will they be completely different? Thanks for your help! hey I can't get the bolt catch thing out, and I cannot get the bolt out either, it won't go out. I am just wondering if you can give me a little more detail on how to get the bolt catch out and I am wondering if it is completly nessisary to get the bolt out. FORGET IT I see the revised version of your guide. 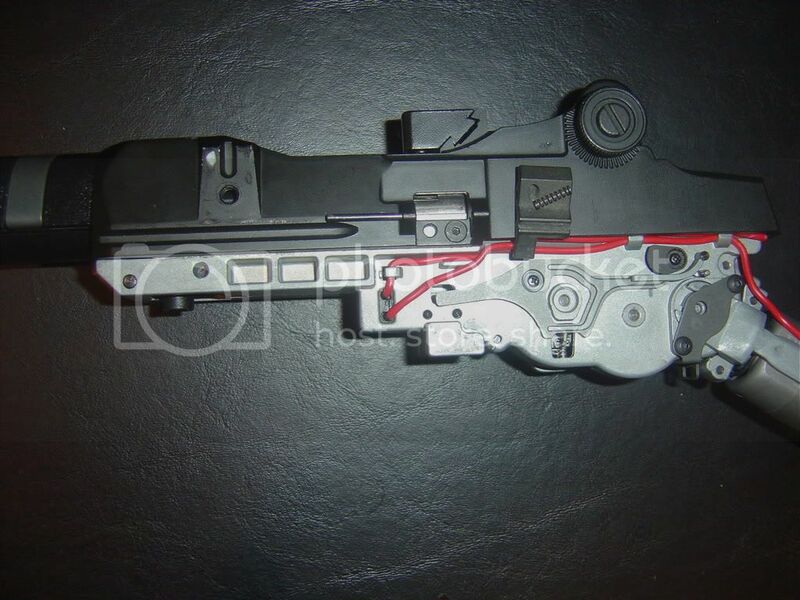 The UTG use a Marui style gearbox which is fundementally different from the G&G and CA gearboxes. 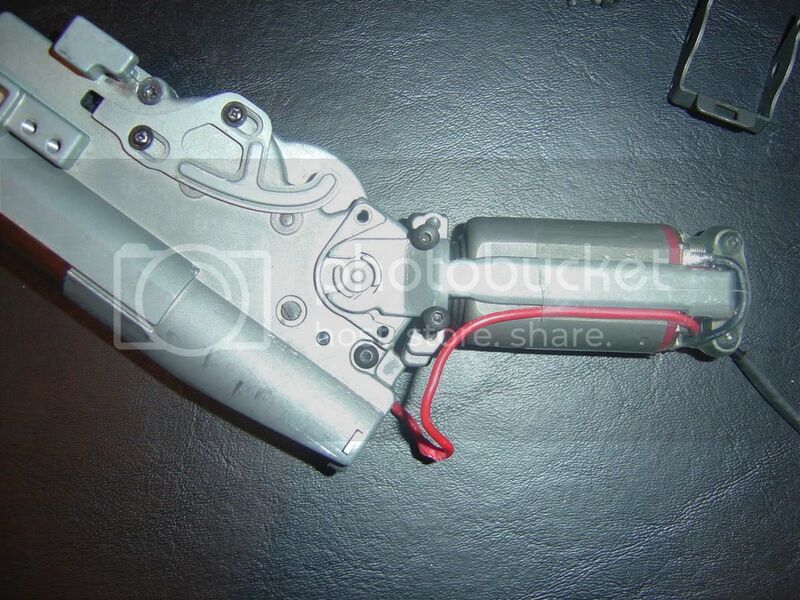 I suggest finding a guide for the Marui ver.7 gearbox. First in, Last out Cavalry Scout! Interests:Airsoft<br />Lacrosse<br />Video Games<br />Military<br />Military History<br />Techno Music<br /><br />other stuff I can't think of. is this the same for the full length G&G M14? Dang, that's one heck of a guide you got there! I've got an M14 (loooves it!!!) and I was gonna buy a new spring for it n' what not. To be honest, I'm scared to take it apart now. Lol. Good job, though. One of the better guides I've seen before. Does the Cyma M14 take down the same, or no? I'm installing a new spring next week (when it gets here), and I'm planning on using this beast of a guide. 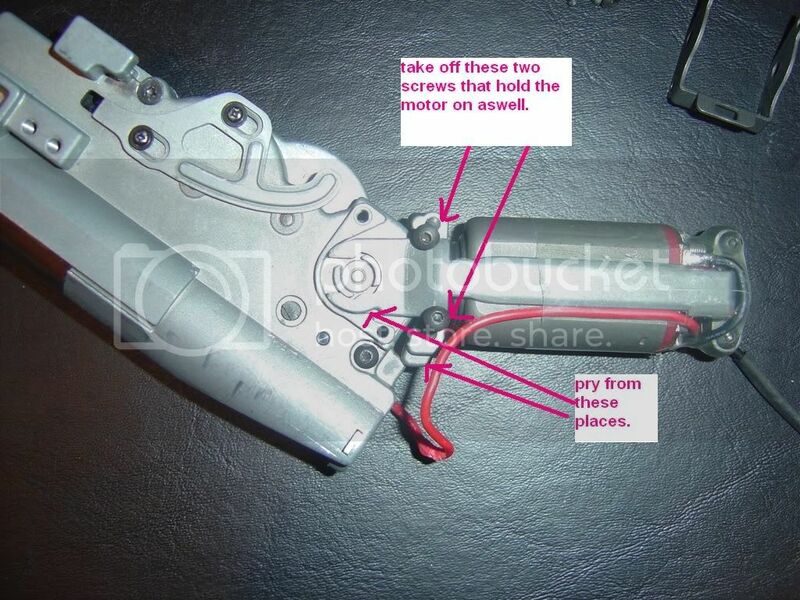 Oh, and does anyone know a guide where they show you how to put your gun back together? That's the only thing I'd have slight trouble with, is reading this all backwards. 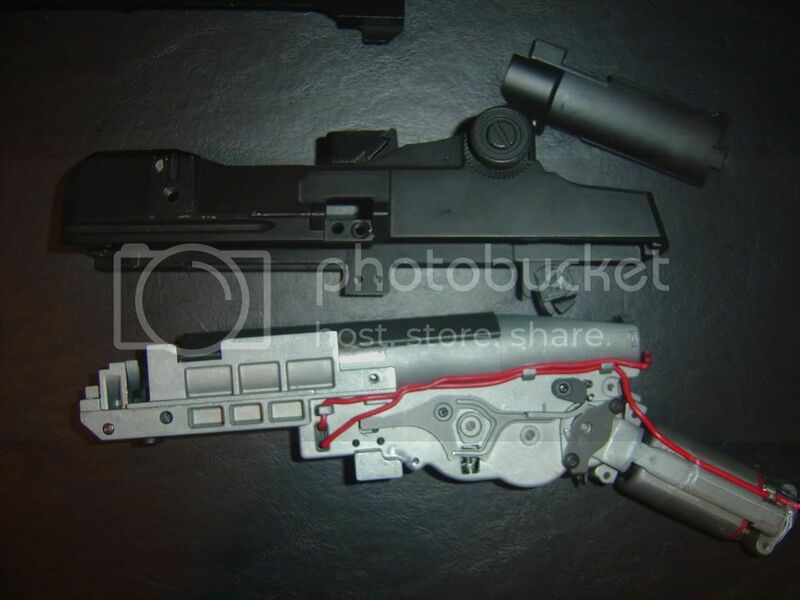 Teardown of the gun is Similar. 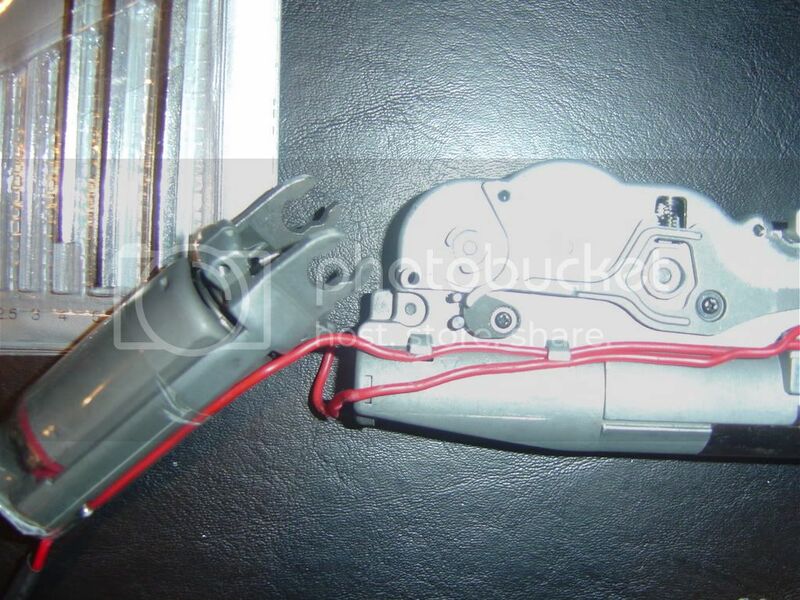 Same thing with the trigger assembly. Pull the trigger guard down, and rearward at the same time. It'll swing open. Then pull straight down from the stock. There may or may not be a set screw in the front gas block assembly that you will need to loosen so it will slide away from the stock. 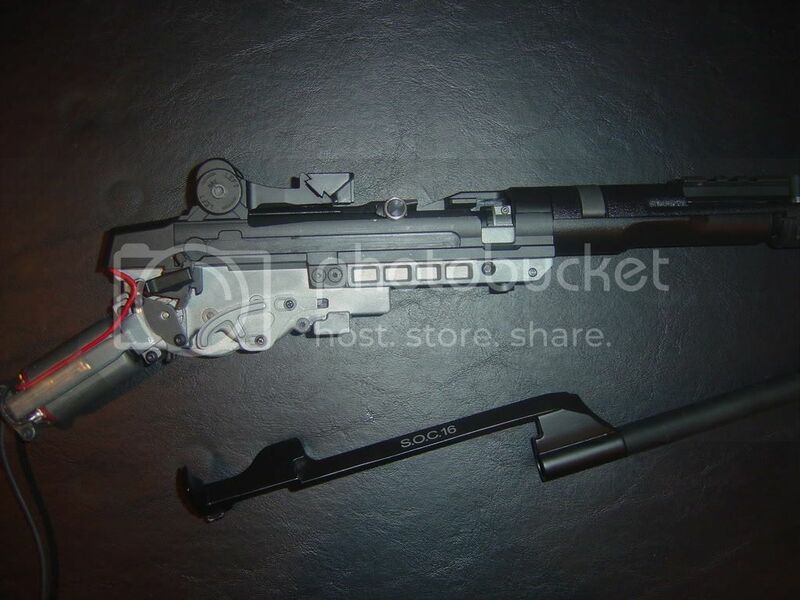 The bolt and barrel assembly will need to slide forward and upward to dislodge from the stock. Teardown the of bolt and barrel assembly is pretty straight forward with similar hidden screws like the CA / G&G. With a screw hidden behind the bolt catch. If you need, I can tear mine down quickly and upload pictures to my gearbox thread. This thread is of a AGM M14 gearbox. 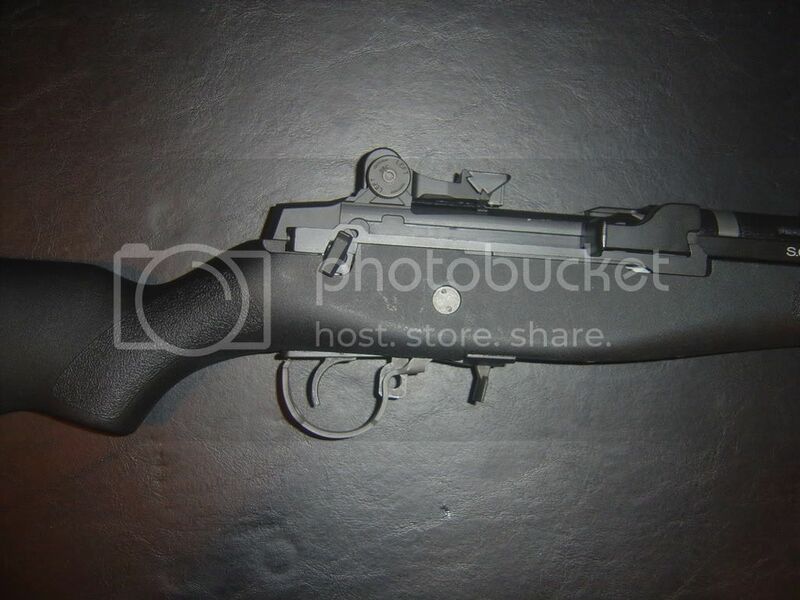 (Which is a TM Clone of the M14, and much closer the the Cyma). 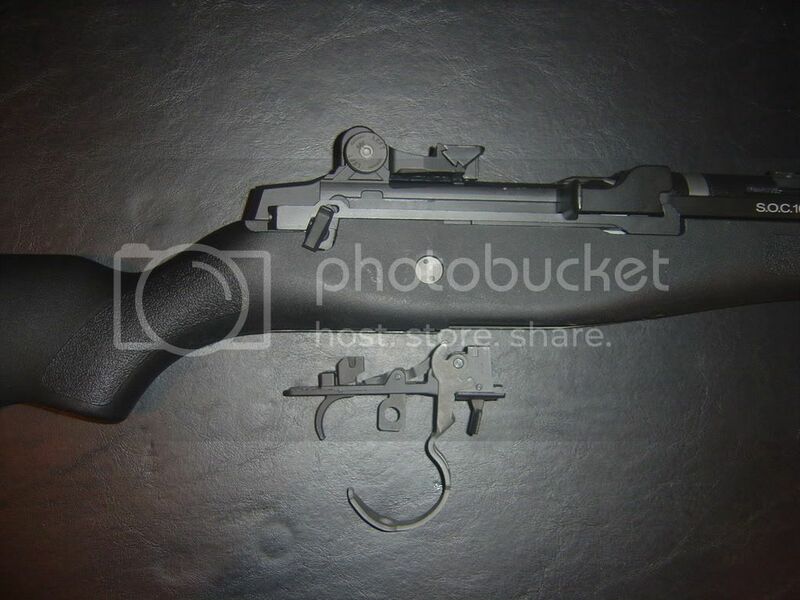 I REALLY NEED HELP IN ASSEMBLING MY G&G M14!!!!! when I opened the gear box the pieces shot out and I don't know how to put them back together, PLEASE HELP!!!!!! hi how were you able to take out the pin out of the bolt catch? 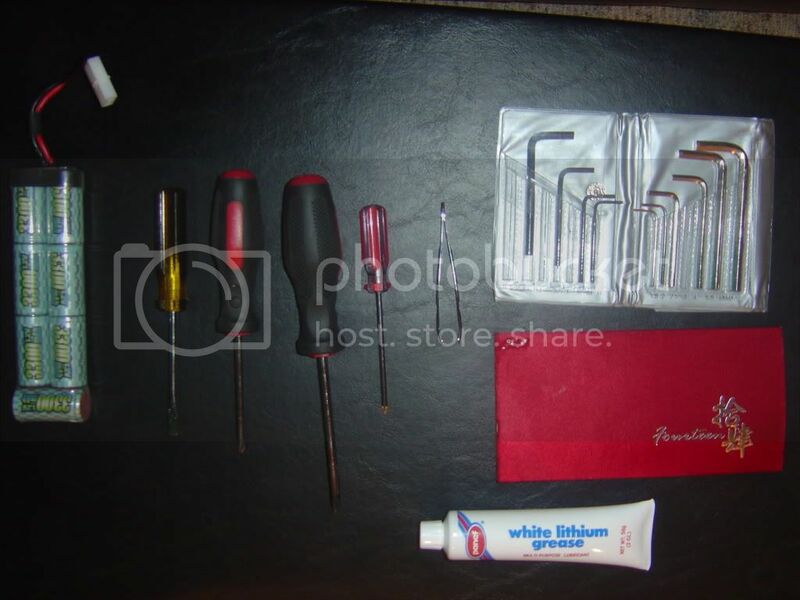 did you use a really small phillips screw? 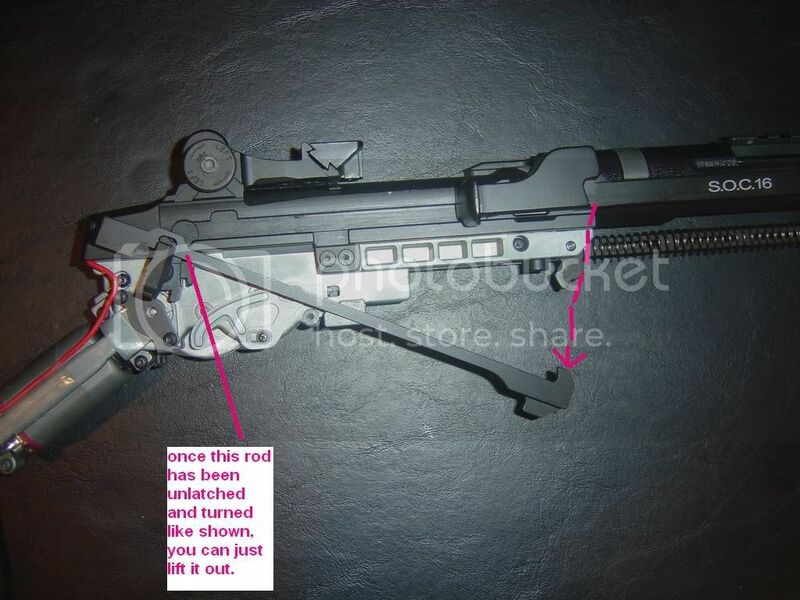 very cool guide, but theres no info on how the inner barrel/hopup unit go? I mean thats basically what I need tio upgrade and if I follow these steps how would I then go about getting the bucking and nub in if I were to upgrade those and a new barrel? For the CA and G&G a hopup guide would be redundant. it's the same hopup as an AUG. 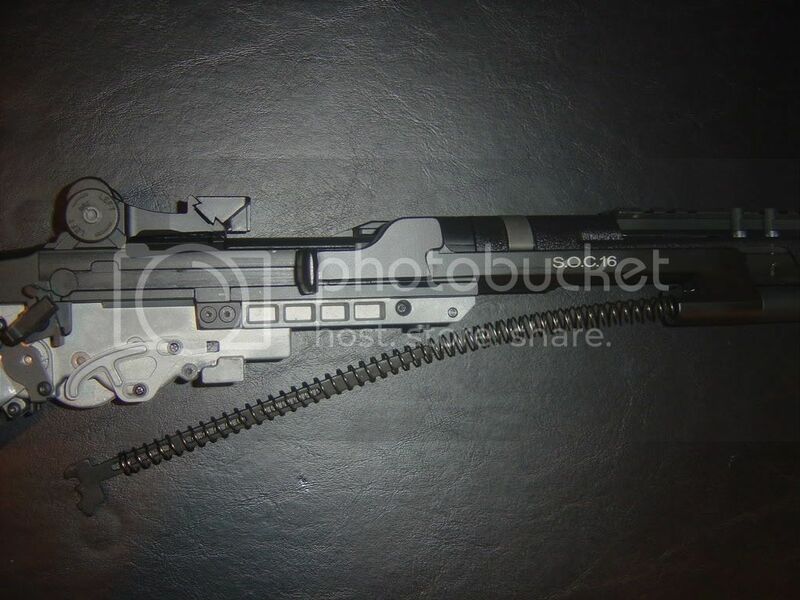 Either way, once you seperate the lower reciever well from the upper, the entire barrel assembly is removable. Then it's only a clip holding the barrel and bucking into the hopup chamber. Do the guns actually come with a field stripping guide to take the whole thing apart? No, but you shouldn't need one because of this guide. 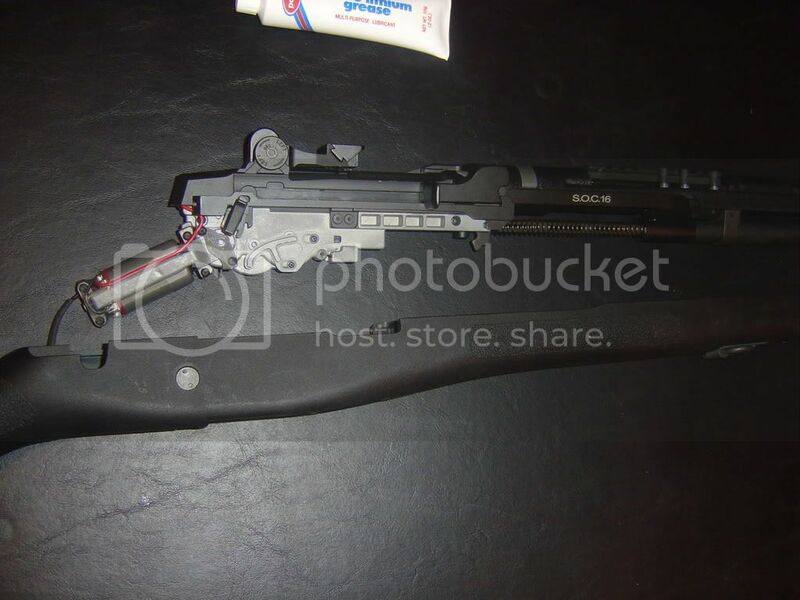 And just a warning to anyone looking to open up their M14, the mechbox is not very easy to put back together, especially with a bigger spring. The spring like to push the piston/cylinder/cylinder head/tappet plate out of the mechbox, and you have to hold in the feeding nozzle at the same time, which falls out if you don't hold it, and the anti reversal latch is incredibly annoying and falls apart if you don't pay attention not to bump it. A little bit of grease on the feed nozzle, along with positioning it's spring just right, Solves that problem. As for the main spring, Strong Fingers. 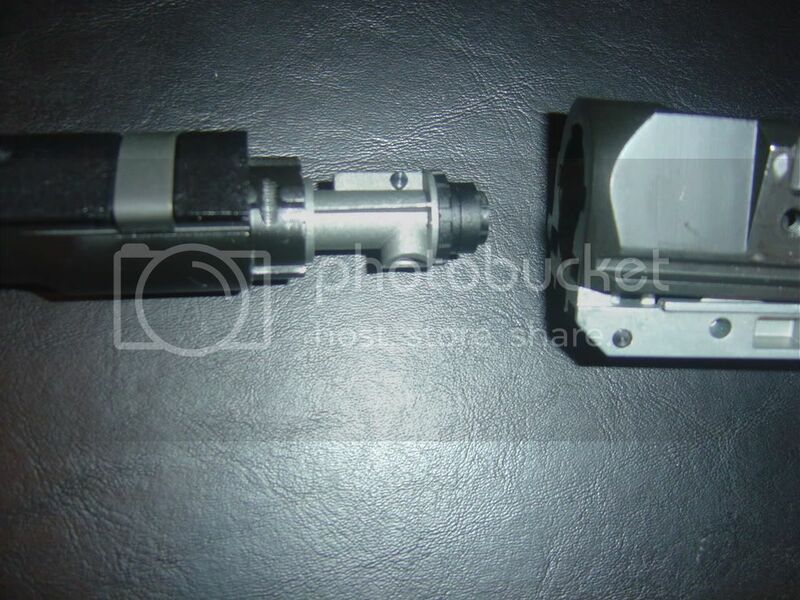 I have the G&G m14 and yesterday the spring on the anti reverse latch broke. What type of anti reverse latch does this gun have? Is it v.2/3 or is it a v.7? Any help would be appreciated.